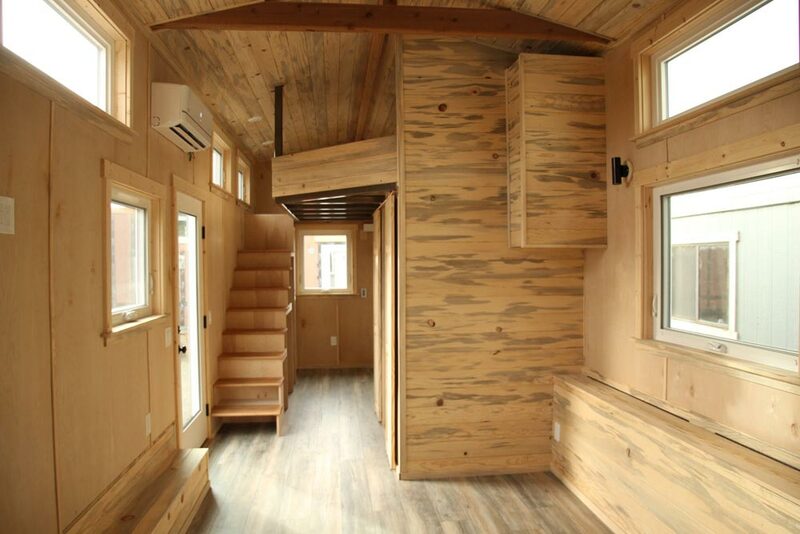 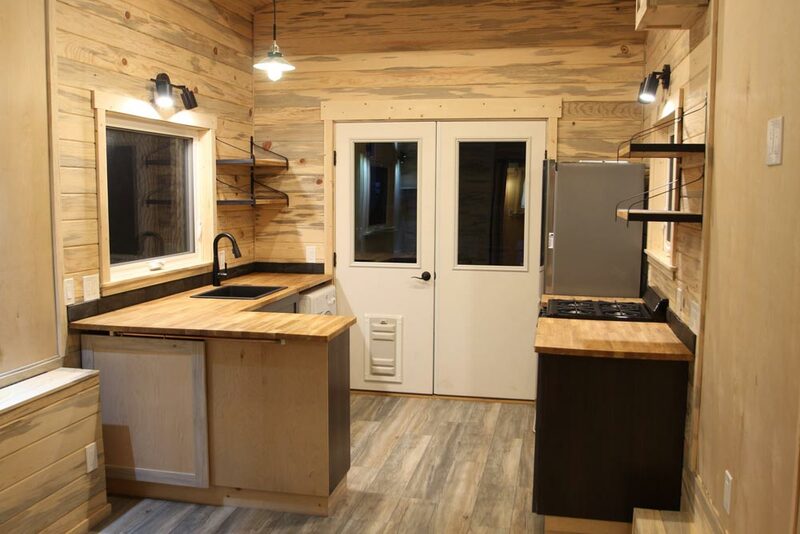 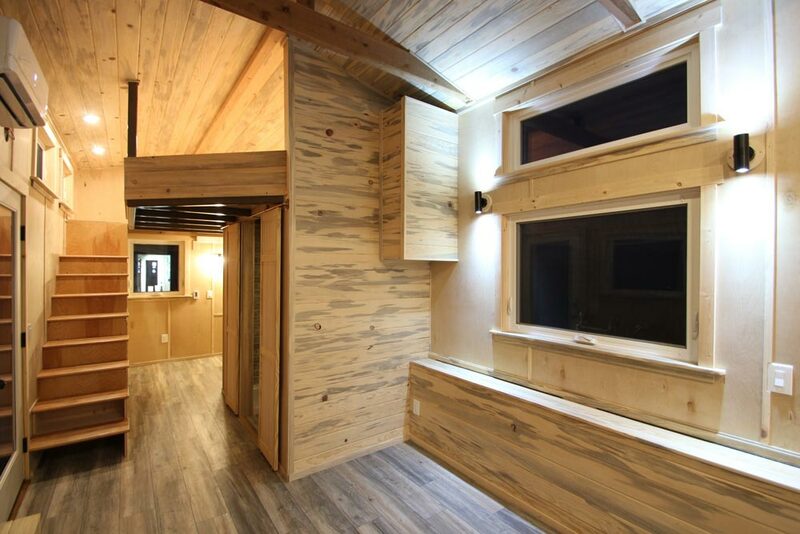 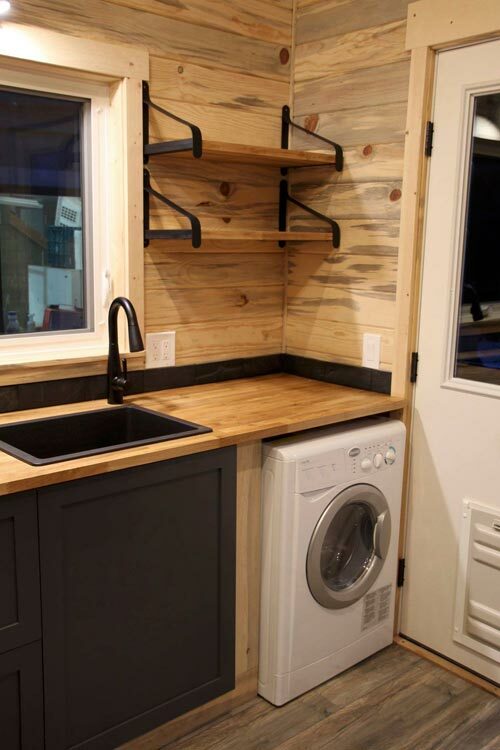 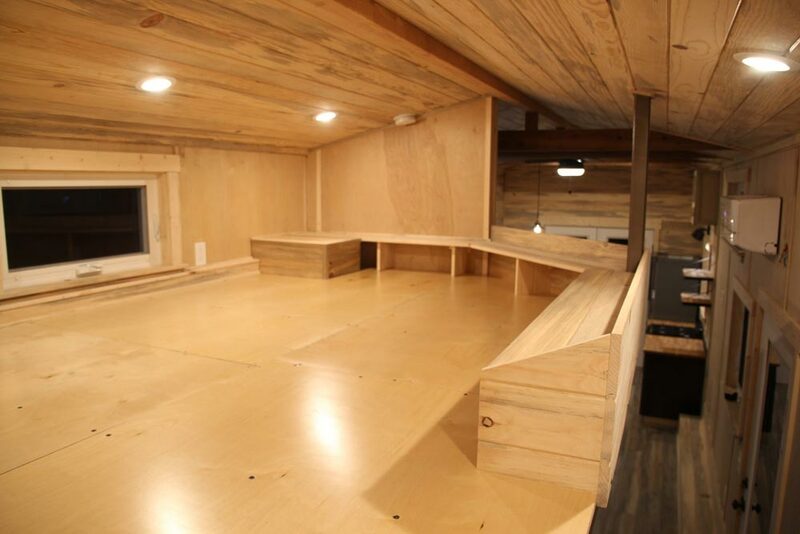 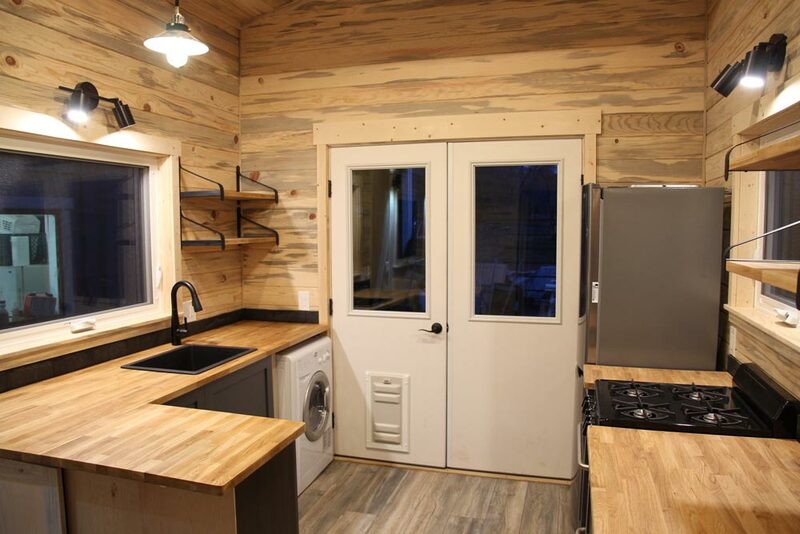 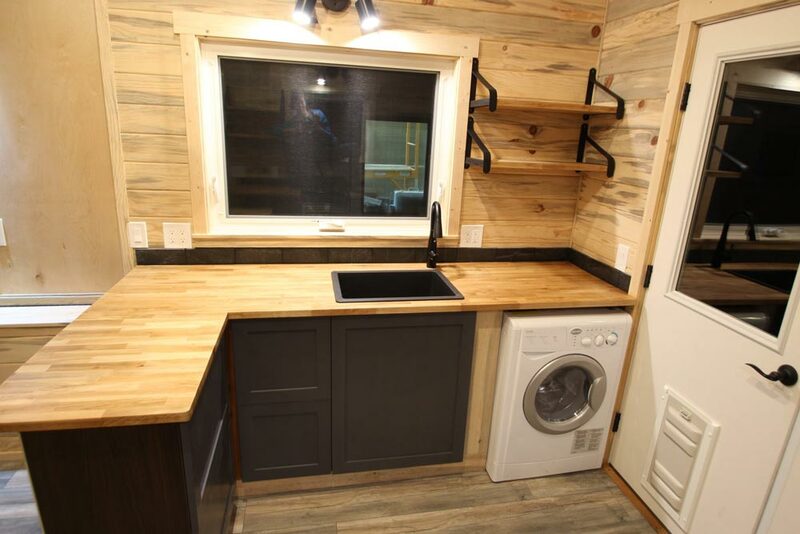 With its beetle kill pine interior, the Pam by SimBLISSity Tiny Homes offers a rustic, cozy environment that fits perfectly in its Colorado destination. 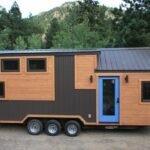 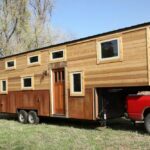 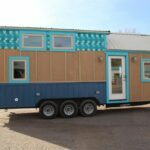 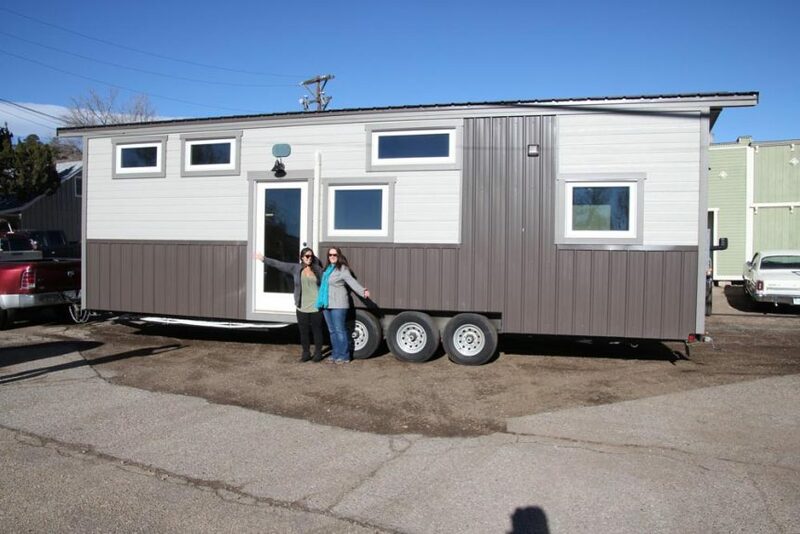 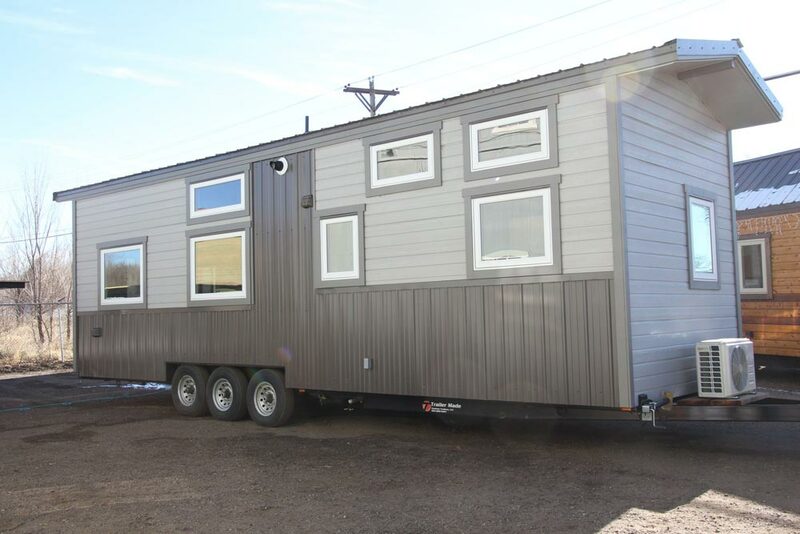 The Pam is 32-feet long by 10-feet wide, providing an extra spacious interior compared to the standard 8.5-foot width tiny homes. 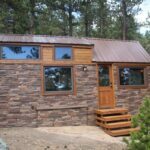 The exterior is a two-tone gray with siding and standing seam metal that matches the roof. 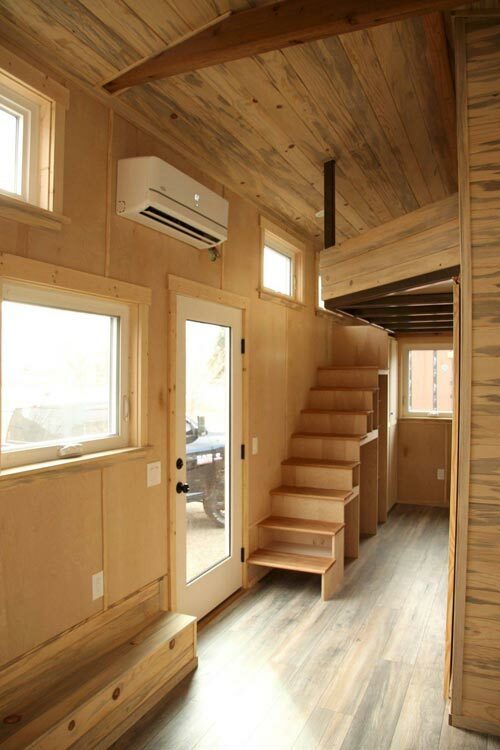 A full light entry door leads into the tiny home, plus there are double doors at the rear that go directly into the kitchen. 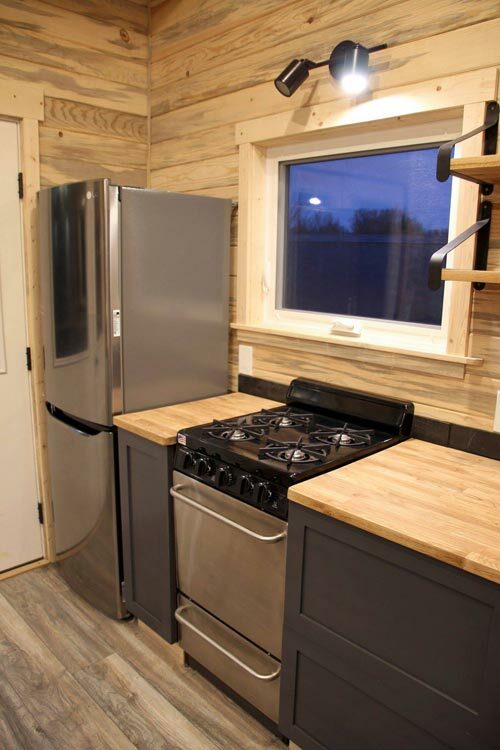 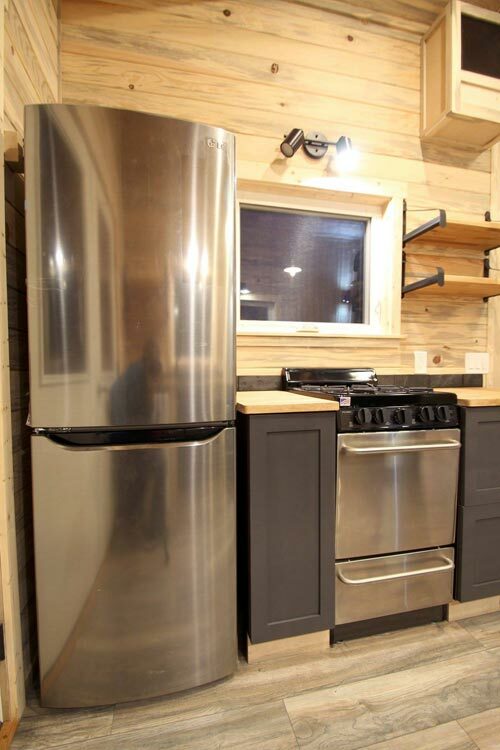 The kitchen features an L-shaped butcher block counter, single bowl sink, full size refrigerator, freestanding gas range, and washer/dryer combo. 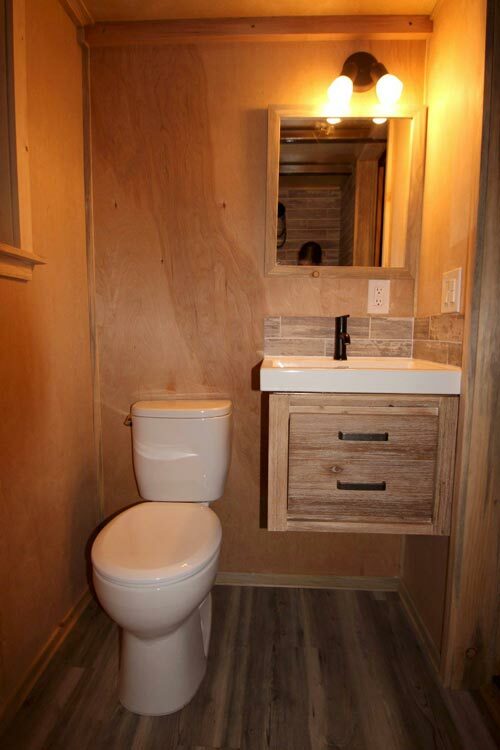 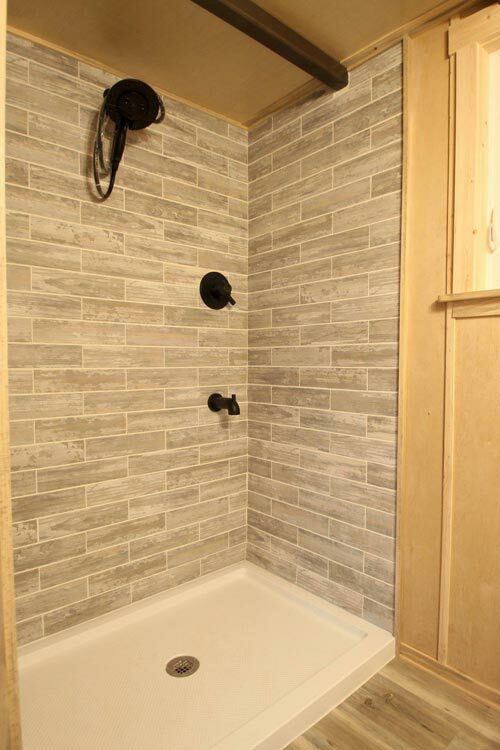 The bathroom is located in the middle of the home, creating separation between the kitchen/dining area and another room that can be used as a main floor bedroom or living room. 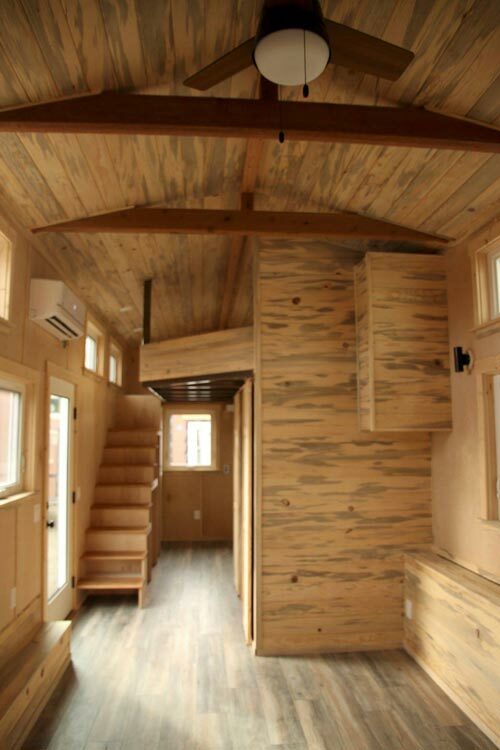 Above this room is a huge bedroom loft with built-in storage space. 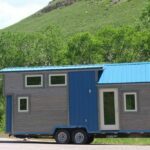 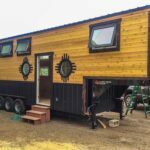 For more information about the Pam, please contact SimBLISSity Tiny Homes.